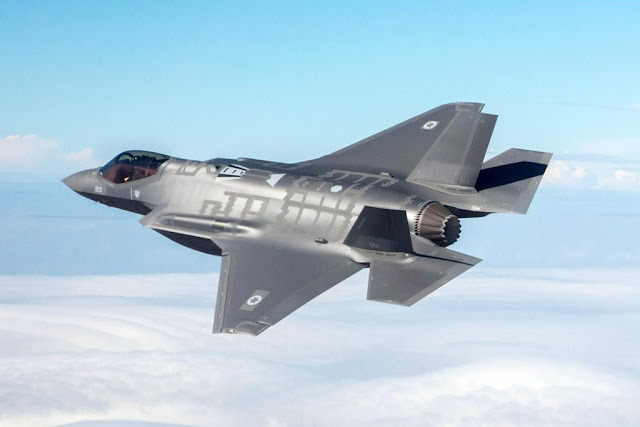 The document deals with acquisition, training, intelligence, safety, operation and medicine, with its focal point being the "Adir" (F-35I) aircraft. Israeli Air Force and US Air Force sign a cooperation agreement. An accord between the IAF and USAF was signed on Aug. 1, 2018 by Brig. Gen. Tomer Bar, IAF Chief of Staff, and Maj. Gen. Stephen W. Oliver, Jr., Assistant Deputy Under Secretary of the Air Force, International Affairs, Office of the Under Secretary of the Air Force, in the Pentagon. Throughout the meeting, the two instituted the cooperation between the forces and signed off on a joint work program for 2018-2019. "The United States is our main strategic partner", said Brig. Gen. Bar. "Our partnership with the Americans can be seen in tactics and operation – from intelligence, through operation of force programs and to mutual cooperative exercises. This meeting leads to a deep partnership and open discourse regarding every field in our cooperation". 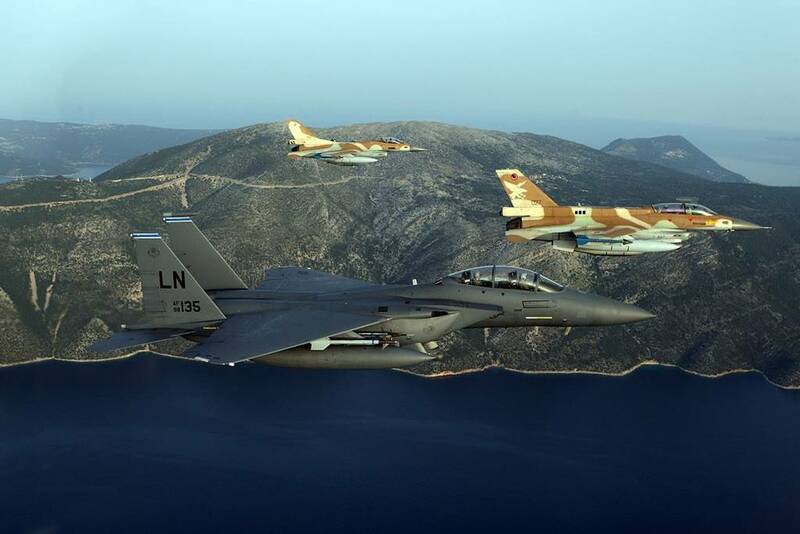 The United States is considered Israel's most powerful ally and the strong cooperation between the two nations' air forces has existed for years. The document, titled Minutes of Meeting and signed by Air National Senior Representatives, touches upon many fields and serves as a yearly mechanism for the regulation of a mutual work program. "This meeting is of great importance", said Maj. R', Head of the America and Liaison Section Department at the IAF's International Affairs Branch. "It is indicative of the air forces' taut cooperation and mutual values. The meeting's main points were operations, mutual training, operation of force, security, logistics, intelligence and medicine". The F-35 stealth fighter was at the center of discourse over the past two signings. "The field of F-35 relates to all fields of activity", said Maj. R'. "This is a unique platform for both air forces and there are many mutual insights and lessons to learn and share". 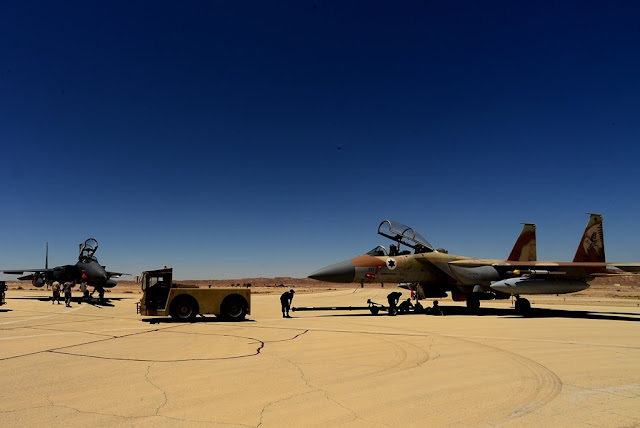 Work groups made up of IAF Operational HQ service members, along with their U.S. counterparts, were established in order to discuss operation of force. "We work to strengthen our cooperation with the US command, tightening the interface between the Israeli operational HQs and their US counterparts while forming interpersonal relationships. This way, things will be easier to coordinate when the operational need rises", elaborated Brig. Gen. Bar. "In addition, we discussed development of mutual capabilities, munitions and platforms which will be able to function in the operational theatre. Discourse in this field is intriguing and informative". Research-oriented cooperation in medicine will be strengthened, and information will be shared by the forces regarding downed pilot search-and-rescue and provision of advanced medical assistance. According to the IAF Chief of Staff, security issues were also discussed, mainly the acquisition of capabilities meant to enable early detection of anomalies in aerial systems. The document’s goal is to promote the needs of each air force, implement mutual work principles, strengthen the cooperation between the forces and deepen the relationships between senior commanders. Another field emphasized in the document was training: “Combined exercises are significant for us on both a personal level and an educational level. These are two advanced, Western militaries that share mutual doctrines and insights”, detailed Maj. R’. This is the fourth year the agreement is signed. The process prior to the signing of the first document lasted almost two years and began with a visit to Israel in August of 2013 by then USAF Commander, General Mark Walsh. As part of the agreement, work crews composed of officers from both sides were formed with the goal of handling mutual topics. “The meeting was very professional and the deep interpersonal bonds strongly affected the cooperation”, concluded Maj R’. “The meeting was an important factor in continuing our cooperation. There were preparations prior to the meeting, and the past year’s activity was presented to the commanders in order to make decisions regarding activity in the upcoming year. Both forces are very confident in their relationship, and this allows us to focus only on activity which benefits both sides. The meeting marked the beginning of the upcoming year, with an emphasis on realistic planning and developing potential intentions”. Brig. Gen. Bar added: “In addition to the group meetings, we plan on making an effort in the field of crew exchanges. We want young officers from both forces to become acquainted early on, so that they grow together as they climb the ranks. This is without a doubt the strongest element”.